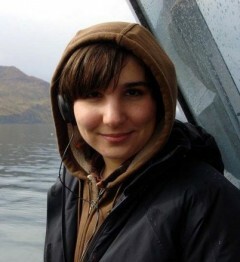 Alexandra Gutierrez is a radio reporter based in Juneau, where she works as Alaska Public Radio Network‘s capitol correspondent. She spent a couple of years in the Aleutian Islands before that, where she briefly had the distinction of being the westernmost journalist in the country. On top of managing the news department at a rad community station, she got to write columns for Pacific Fishing, even though she had never caught a fish before that. It was pretty cool. In a different life, she resided in Washington, DC, and worked for The American Prospect. She still loves magazines and occasionally writes about music, politics, and other things. You can reach her at alexandra.m.gutierrez /at/ gmail /dot/ com. And if you are so inclined, you can also follow her on Twitter.